You better double the supply of treats for today. Because you're late. Not that you can ever be on time, but today...., today you really did it. Headless . . . We are all just headless. Poor Ichabod has seen a lot of it. Ichabod reminds me of the bank robbers who painted one side of the get-a-way car black and the other side white. Got rich, never caught, and left an endless trail of confused witnesses. Hopefully Patti has it figured out and gets the treats there as required. 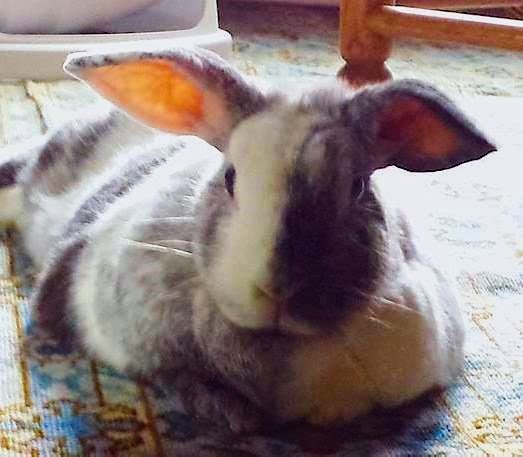 Dare I touch those magnificent ears? Somebody hurry up and get Ichabod his treats! The Harlequin Disapproval is high lately; was this in the forecast? Need a special coat and hat for this kind of weather...brrrr!